All hail the conquering hero for his final and fiercest battle. Anchor Bay Entertainment releases the conclusion of the acclaimed Starz Original series Spartacus: War of The Damned - The Complete Third Season on a mighty three-disc Blu-ray and DVD set September 3rd. From executive producers Rob Tapert, Sam Raimi, Joshua Donen and Steven S. DeKnight here are all 10 heroic episodes, plus bonus features including 'Making of' featurettes, behind-the-scenes footage, a fun farewell and much more! Plus the Blu-ray contains exclusive extended episodes and audio commentaries from cast and creators. SRP is $59.99 for the Blu-ray and $49.98 for the DVD. Pre-book is August 7th. Here's what series creator Steven S. DeKnight had to say about the final season. "The final season of Spartacus was an emotional journey for all involved and hopefully a satisfying conclusion for the fans. We wanted to make the Blu-ray and DVD release reflect our gratitude for their enthusiastic support. It's packed with bonus features, extended episodes and commentary tracks that add an extra, exciting dimension to the world of Spartacus." 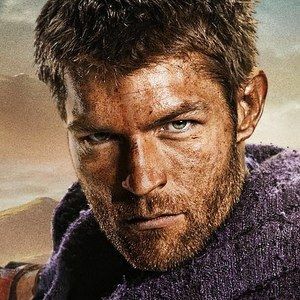 This is it - an epic conclusion to a legendary journey, Spartacus: War of The Damned - The Complete Third Season is the greatest battle of them all.